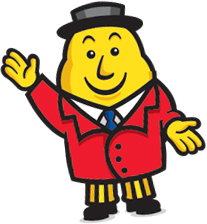 When it comes to little Potato Men marketing products, Mr Tayto is the head honcho. Not only does he advertise and promote his company (the company that invented flavoured Crisps), but many Irish people don't call them Chips. Neither do they call them Crisps. They call them 'Taytos'. Mr Tayto has books, toys, events, and even a theme park named in his honour. Mr Tayto may have changed his look as he has matured, but one thing his owners have managed to achieve is a timeless quality that will overcome accusations that making products child friendly is wrong. It would perhaps be understandable if branding and advertising agencies are getting their knickers in a twist about the positioning of unhealthy snack products in a modern, fully aware world, in which parents look ever more closely at ingredients and nutrition lists. However, just as Mr Tayto's timeless qualities overcomes this because he has simply been around so long, there are some opportunities that are too good for a company to miss. 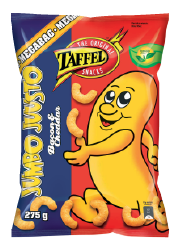 These Taffel Cheese Puffs have a Mascot that is pretty much the stick man of snacks. Is there another foodstuff that is so easy to draw that looks so much like the product? Talking of Stick Men... 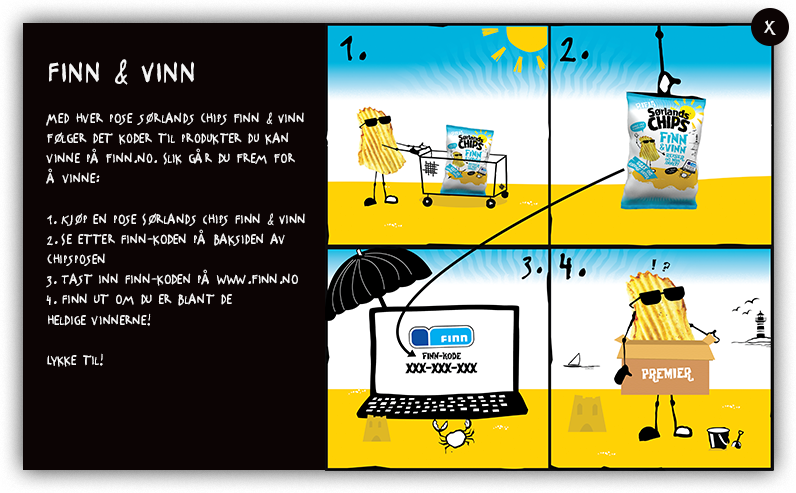 Similar to the Darling Spuds Mascot positioning exercise, the Sorlands Crisps approach is fun and modern. Turning the Potato Chips themselves into Stick men with mere additions of line drawings is ingenious and again, overcomes negative associations in a positive style. Despite being the biggest snack providers in the world by a huuuge distance, Frito-Lay are not above marketing oversights. The cute little surfing Maui Onion, that features on their Maui Style range is fun, friendly, and would work brilliantly as a branding and positioning tool. It would also add another marketing buzzword; 'Benefit'. It is evocative of the style and purpose of the range. 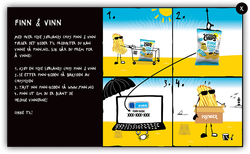 However, a potato man is fishing on the Salt & Vinegar flavor and a Tiki Hut is wearing a hat on the Regular flavor! A bit like the little boy telling the king he isn't wearing any clothes, if the corporate giant needs a bit of help, our contact details are below!